The Genie wrap is a multi-dimensional beauty. 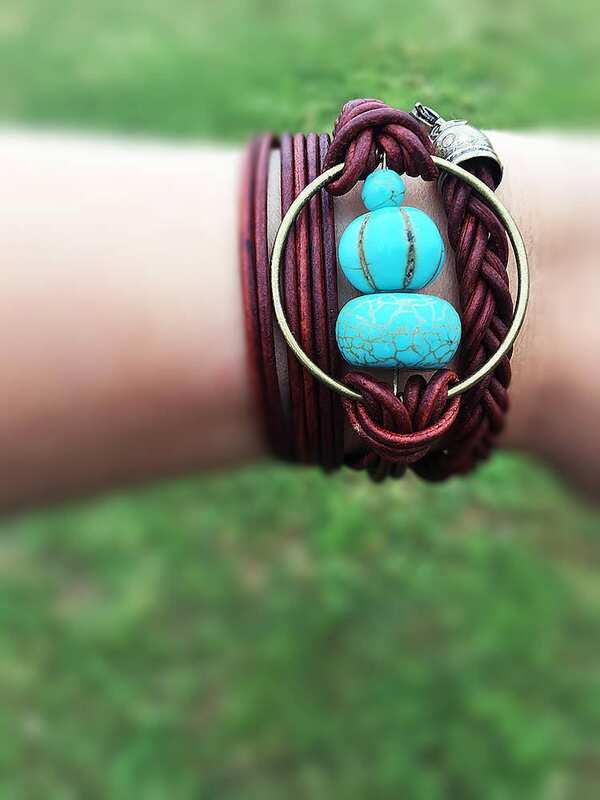 Beautiful turquoise stones are the focal point and braided soft leather wrap around the wrist or can be worn as a choker. This piece is both bohemian and city, vacation and office. Truly not one to miss.